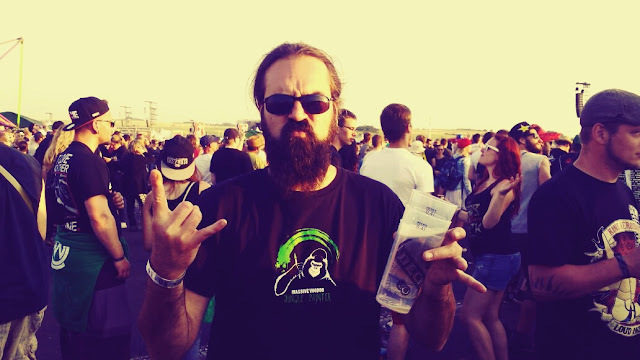 this newsflash is about true jungle painter Jens, who sent us this epic photo of himself wearing his Jungle Painter shirt with pride on a rock festival in Germany (Rock im Park)! Epic beard + epic shirt = epic Jungle Painter! Simple arithmetic! Jens decided to throw some music at you too - Beatstakes - Hello Joe! how proud you are to be a Massive Voodoo Jungle Painter! Sent to: mv---at---massivevoodoo---dot---com and with enough epicness in your photo you might also make it to your own blogpost on Massive Voodoo!